Restoring chipped, stained or decayed teeth with dental porcelain is a tried and true method that’s been used for decades. In recent years, though, restorations made with composite resin have become a popular alternative. Made of a plastic-based matrix with added glass filler, composite resin can be molded and bonded to teeth to replace missing structure with color to match. While they can’t be used for every problem situation, they’re an efficient and economical way to transform your smile. Here are 4 advantages for using composite resin to restore moderately defective teeth. They require very little tooth preparation. Crowns, veneers and other porcelain restorations require removing some healthy tooth structure to accommodate them. With the development of stronger bonding materials, composite resins can restore even many large defects in teeth caused by decay or trauma with little structural removal and still remain durable. Most composite resin restorations are “single-visit” procedures. Unlike porcelain restorations, applying composite resin doesn’t require a dental lab, a process that can take multiple visits. In most cases, a skilled dentist can apply them during a single visit. They have excellent color matching capabilities. We usually think of teeth as one single shade of white — actually, a single tooth can have varying gradations of color from the root to the tip. 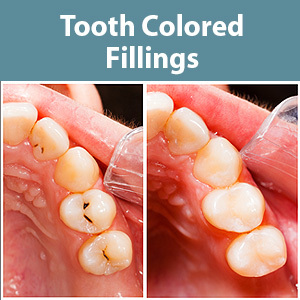 As mentioned before, composite resins can be prepared to match those color shades precisely, so your restored teeth look natural and blend well with your other teeth. Composite resins can be an effective temporary fix for young injured teeth. Because children’s teeth are still developing, permanent restorations for traumatized teeth aren’t usually advisable until they’ve fully matured. Composite resin can be used to restore a young tooth’s form and function until it’s ready for a permanent solution.